It does not seem that the fountain was located on the triangular island where Fire Station No. 4 stands. The background in the old photograph could not have been pictured as it is if it was taken from the island. 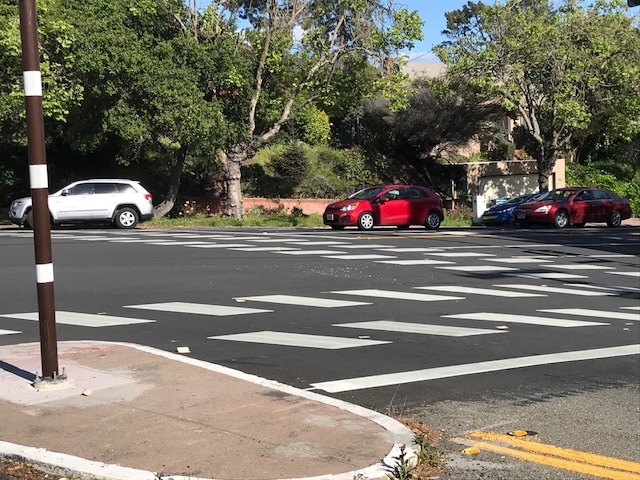 More likely, it stood either where the mid-crosswalk stoplight is now where Monterey meets The Alameda, or on the southwest corner of that intersection just a few yards away. 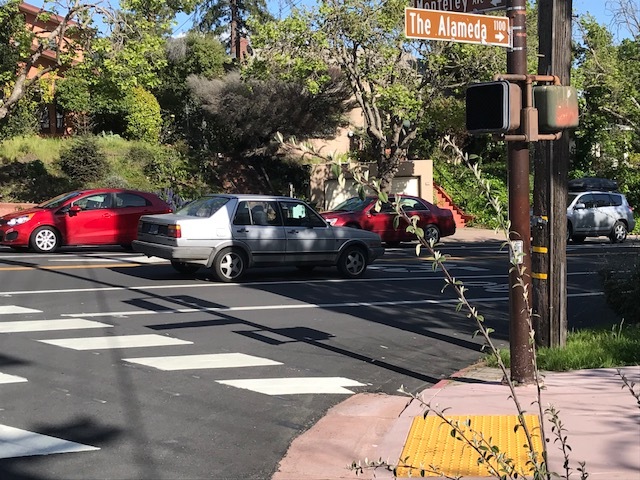 A tip of the cap to FOFW board member and Realtor Holly Rose for identifying the house pictured in the old photo: it’s still on The Alameda a few houses down from Monterey, just looks a bit different all these years later. And to Brad Janke for using Google Earth to geo-locate the likely spot. The island where the unique round fire station has stood since 1960 was first the location of the Northbrae sales office for developers Mason-McDuffie. It then was purchased by the city in 1922 for $5,000 and made into a small park. In 1935, the members of the newish Berkeley Garden Club took on a replanting of the park as their first civic project. Their club emblem was the flower of the native shrub Fremontia californicum, so they christened the island Fremontia Park. They planted some of the shrubs, some other plants, including roses and fuschia, and a cedar tree, which according to their historian, is one of the large trees still standing on the island today. 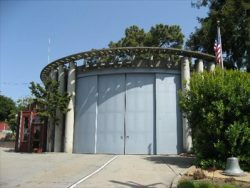 The unique firehouse, by the way, was designed by Ratcliff architects, one of Berkeley’s oldest firms founded by Walter Ratcliff, the first city architect and a man responsible for numerous civic and residential buildings. You can find more about him here. Still, some mystery remains regarding the lost fountain of Northbrae. When was it removed? And did a companion fountain planned for a spot just outside the Solano Tunnel (where Sutter and Hopkins meet) ever get installed? If anyone has further information on those mysteries, please contact FOFW at fountainandwalk@gmail.com. The Berkeley Garden Club will sponsor a lecture tomorrow afternoon by Dr. William C. Paden, Alameda City School Superintendent, at the Berkeley Y. M. C. A. Building […]. Dr. Paden will discuss the activities of General John C. Fremont as a botanist. Dr. Paden has devoted years to field research work on Fremont’s exploratory work in the botanical world. Dr. Paden has chosen this subject in consideration of the Berkeley Garden Club’s activities in popularizing native California shrubs. The club has just completed the work of planting 35 Fremontia Mexicana trees at Fremontia Park at Monterey and Marin, in cooperation with the Berkeley Park Department. The public is Invited to Dr. Paden’s lecture.